ROLLING on down the Fitzroy River to the tunes of Proud Mary and Bob Marley's Don't Rock My Boat, Craig Robertson launched his new River Cruises CQ campaign yesterday. 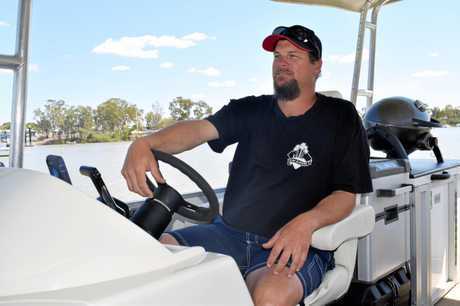 The business is part of Advance Rockhampton's Fishing the Fitzroy campaign, set to boost the region's fishing sector. After growing up on his parents' own fishing charter, Mr Robertson had always had a love for being on the water. Having seen huge success this year in his fishing charter business, Reel Fishing CQ, he decided to follow it up with his latest enterprise. The goal: to revitalise the way people enjoy the mighty Fitzroy. As Mr Robertson pulled the 10-person vessel out into the mouth of the river, a young, avid fishermen tackled a 95cm king threadfin salmon, pulling the large fish out of the water with delight. 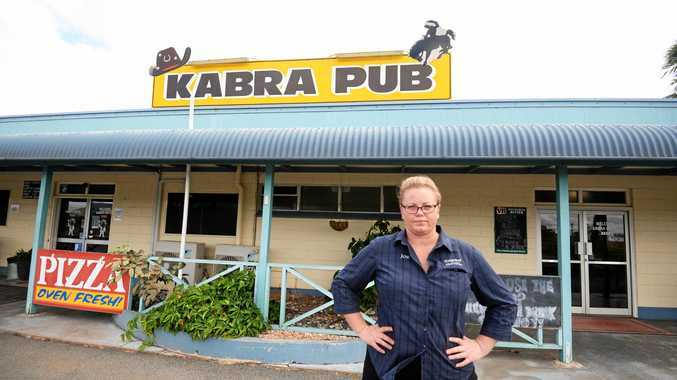 "People are really going after barras and threadfins at the moment," Mr Robertson said. Cruising down the river, with Rockhampton's CBD lining the bank, Mr Robertson explained how the idea for the leisurely business came about. With no other river cruises available in the region, he saw an opening. "Hotel owners are saying their guests are saying they want to get on the river but don't know how," he said. "A couple of years ago we didn't even have a fishing charter... this place is already a good fishing place but there needed to be something for tourists as well. "It's rewarding taking people out on the river when they've never been... it's satisfying giving people that experience." Mr Robertson said the choice to make the Friday and Saturday night cruises around sunset came from his appreciation of the beauty of the sinking sun over the river. "It's the best time of the day," he said. "A lot of people see the river from the bank but it looks totally different on the river. Seeing the sun set over Mt Archer and the city is actually quite pretty. "Everyone's finished work and are heading out for dinner or to the CBD and they can get out and cruise on the river beforehand. "The sunset cruises will be about sitting back, relaxing, having a drink and enjoying the food platters." Mr Robertson said he had already received plenty of interest, with half the boat already booked out for his second day of operation on September 29. For $35, the boat will be taking two boat-loads a night up and down the river as the CBD begins to light up. He will also provide two drinks and nibblies per person, with the option for people to bring their own beverages and food on board. There's a toilet, a solar-powered fridge, coloured lights and a mini Webber on board, as well as Bluetooth and speakers for party-goers to connect and play their own cruising play-list. And despite being in the early stages of business, Mr Robertson is already considering expanding. "Ten people per trip is good but eventually I'd like to expand to 30," he said. "There's definitely potential to build." In a couple of weeks' time, renowned executive chef Roel Van Camp will also be on board the 30 foot pontoon boat to cook. Mayor Margaret Strelow commended Advance Rockhampton for helping Mr Robertson get his business up and running in a short time frame. "We've gone from one fishing charter boat to ten in just one year and I have no doubt this River Cruise is the start of even more experiences that will be offered on the Fitzroy River in future." Cruises will also be available for private parties, Christmas parties, birthdays, anniversaries for custom quotes.